I know it’s been a while since I blogged but I have genuinely been busy eating out and travelling (look out for my travel diaries) I am currently in Dubai and this place is genuinely foodie heaven! Especially for a haloodie like myself, it has every place possible that a foodie could dream of. Dubai is one of those places that everyone seems to love, it may be for the amazing weather, or for the array of obviously halal food options along the JBR beach or the variety of beautifully decorated malls. I am pretty sure this is my third trip to Dubai this year more for the food than to visit my sister 😉 Not only is the food amazing in Dubai, but there is something luxurious about the restaurants here that make you feel special, which makes the experience all the more exciting. As with most of my girls out there, TLH loves going to malls and the whole experience of shopping all in all. But if any of you haven’t been to Dubai Mall, you haven’t seen anything! Its not everyday you can sit in a restaurant and watch one of the largest aquariums’ baby sharks, stingrays and Nemo-like fishes carry on with their daily life just swimming away with no care in the world. ENtering the malls staring aimlessly at the shops, the aquarium suddenly hits you in all its majesty. 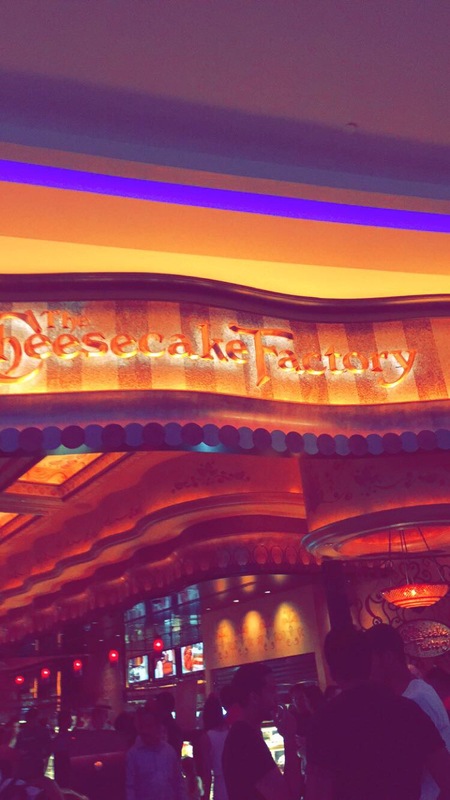 But as soon as I got over a large fish bowl inside a mall, you cast your eyes towards its left, what I crave all year, what my heart yearns for, the holy grail for all dessert lovers out there… The Cheesecake Factory. Let’s first talk about their food and come to the cheesecakes… Now if you’ve seen the size of the cheesecakes you’ll know that you can’t eat alot more. 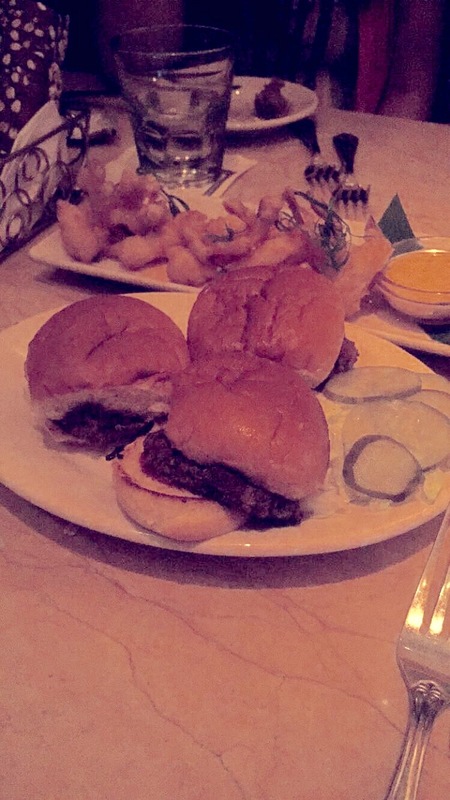 However, the impressive menu at CF may change your mind… From pastas, pizzas, burgers to steaks, Cheesecake Factory has everything any foodie fancies. My only disappointment when looking at the menu in DUbai was that they had taken off one of my ALLTIME favourite dishes, Sweet Corn Tamale Cakes. When visiting my other sister in The States, there was no need to look at the menu because we always knew the Tamale Corn Cakes were a done deal! Not seeing them on the Dubai menu was a real anti climax for me. Not sure if there is a reason for Dubai not having the corn cakes on their menu as my sources tell me that USA still have them. PLEASE Dubai CF … BRING BACK SWEET CORN TAMALE CAKES! Now for the cheesecakes… what can I say, they are beyond your imagination! As dramatic and Bollywood as that sounds… and yes I am still talking about a cheesecake… The choice of cheesecakes is unlike ANY other place I have seen throughout the world… and I know that’s a big statement to make, but you know if TLH knows anything in life, its her cheesecakes and desserts! Now, as the name of the restaurant suggests, its specialty is the cheesecake, and you’ll see them displayed very elegantly as soon as you walk in…and this is the case for any CF you will go to worldwide. It is what they’re famous for, so if you’ve got it flaunt it I say! 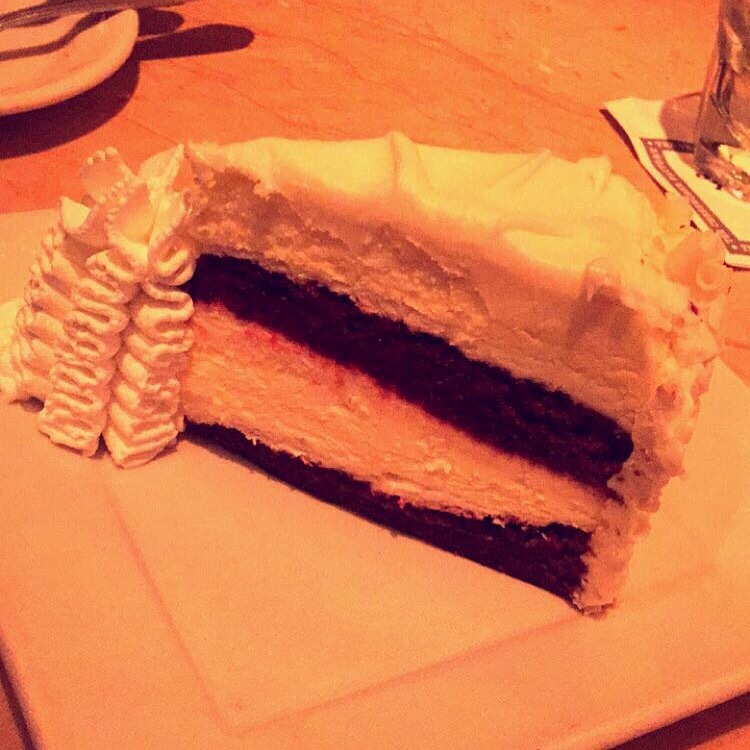 So as I am a traditional kind of girl, I mostly go for the original Red Velvet Cheesecake (pictured below)… Trust me when I saw this, the Red Velvet is AMAAAHHZINGG!!! Plus look at the size of that badboy! Between my sister, her hubby (who by the way is a tonk bulked up man with an appetite enough for a small country) and me we shared this as well as a Salted Caramel, and its safe to say we struggled to stand up after…although we are troopers so managed to finish it all!! hashtag fatties and proud! Woop! It definitely beats any of the other 20 cheesecakes on the menu, not to mention all the other desserts! Phew… I could literally eat every meal there and go through the menu and still not be able to cover everything! Basically dolls, if you haven’t already, fly to Dubai or States ASAP to try this place out! Love it! The cheesecakes at CF get my vote any day!